Don't miss this STUNNING like new 3 bedroom, 2.5 bath, home located in the sought after community Vista Grande. This former model home features tons of upgrades and NO REAR NEIGHBORS!!! The driveway has been extended on both sides with pavers for your convenience. Screened in front porch and gutters have also been added. When you enter the home you will love the OPEN CONCEPT floor plan. The home features a nice and open family room which connects to the dining area and kitchen. 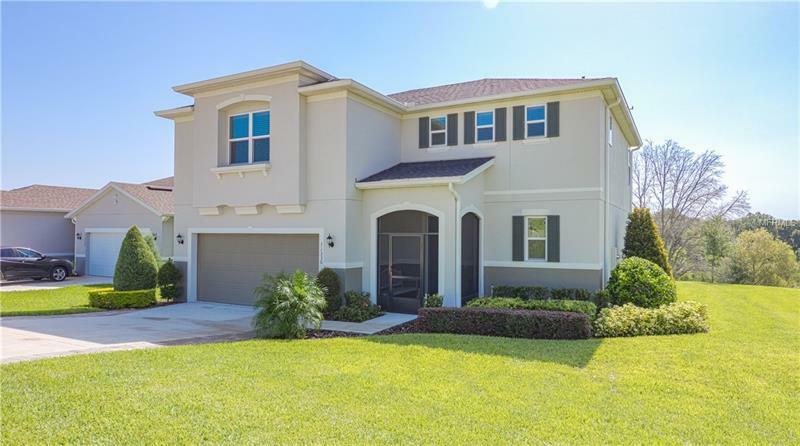 In the kitchen you have granite counter tops, 42" cabinets with crown molding, upgraded pendant and dining room lighting, over sized breakfast island, stainless steel appliances and a walk in pantry. Upgraded tile downstairs, window treatments, neutral carpet upstairs with neutral paint throughout. Enjoy spending time outside in your large screened in paved patio overlooking the pond. Loft and bedrooms are upstairs. Master bedroom is oversized with nice walk in closet. Furniture is for sale. Don't miss out, schedule your showing today! !